October Webinar: Stress!! The Missing Piece of the LD/ADHD Puzzle, What to Know and What to DO! Stress!!! The Missing Piece of the Puzzle, What to Know and What to DO! Presented by: Jerry Schultz, Ph.D. In this interactive webinar, Clinical Neuropsychologist and Harvard Medical School faculty member Dr. Jerome (Jerry) Schultz will explore the impact of stress on learning and behavior in students with learning disabilities and associated ADHD. Tune in to learn why the brains of kids with LD and ADHD are at risk and what we can do about it. You’ll have the opportunity to ask questions and get some very practical and sensible advice from a seasoned professional (and former special education teacher!) who spends most of his time these days in schools, working directly with kids and their teachers and counselors. Dr. Schultz will offer some surprisingly easy to implement strategies for turning stress into the “fuel for success.” This session is based on material from Dr. Schultz’s ground-breaking book: Nowhere to Hide: Why Kids with ADHD and LD Hate School and What We Can Do About It. 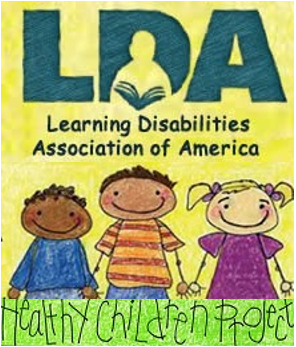 This book has been endorsed by long time “friends of LDA” — Bob Brooks, Rick Lavoie and Ned Hallowell– for its positive impact on the lives of children and families—and their teachers. Join us for what we know will be a captivating and informative presentation and follow-up conversation. 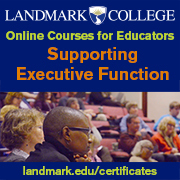 Thanks for posting this great webinar to LDA of America’s YouTube Channel at https://www.youtube.com/watch?v=XtRmiMFHZDg&feature=em-subs_digest. 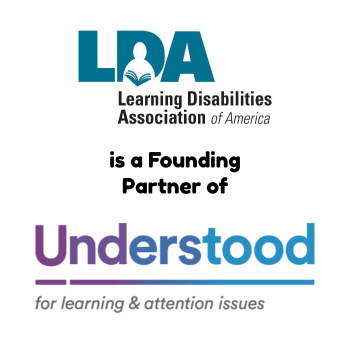 Just shared on LDA of Maine’s Facebook page and encourage others to share this great resource as well in honor of Learning Disabilities month. Hi and thanks for your question. Of course there will be a replay after the event. Simply sign up for the webinar and we’ll be emailing the recording after we’re complete to those who had conflicts.